Please contact Damon Murphy with any private dining inquiries. A late 1920"s New York City steak house interior with signature leather booths, cherry wood furnishings, wooden floors, marble counter tops and high ceilings. 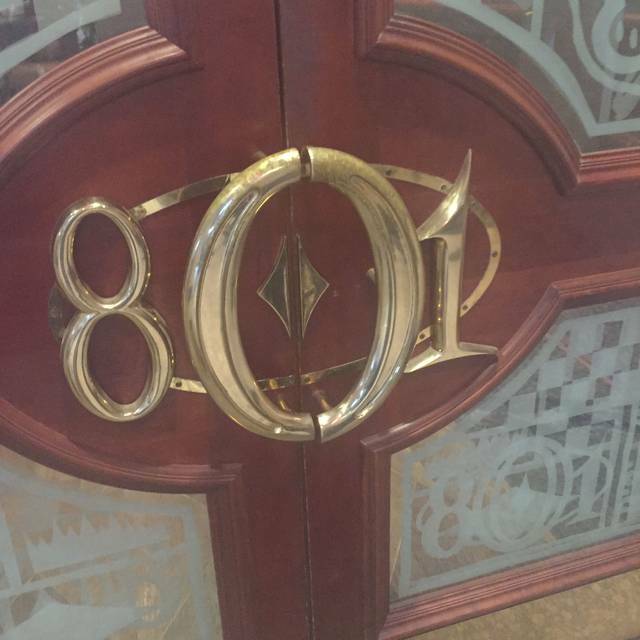 801 Chophouse offers only the very finest and freshest meats, seafood, and vegetables available. Executive Chef, Brian Dennis creates a fresh sheet that highlights the unique weekly offerings. Seasonal fresh soups and salads, oysters on the half shell,four species of fresh fish, live Maine lobsters and king crab legs. Make sure to save room for the Grand Marnier Soufflé made from scratch! 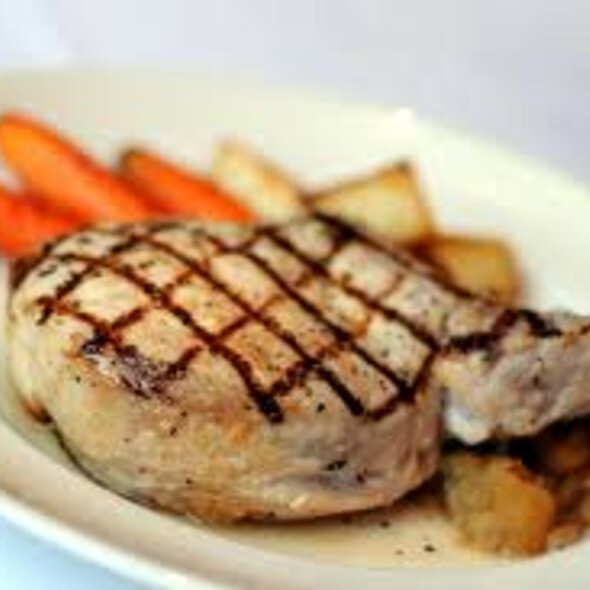 Aged USDA Grade Prime Beef ONLY, Iowa Farm Families pork chops and Colorado lamb. Customize your party from 6 to 65, the walls reconfigure for the perfect amount of space, the tables change for seating and conversation, and custom menus range from cocktails and hors d'oeuvres to full course dining. Mixed Greens, Fuji Apples, Goat Cheese, Candied Walnuts, Champagne vinaigrette. It was my Birthday but no one had told them. I believe they got it from the Open Table app. They made it a very special night with all the little extras!! Excellent as always. Service and food outstanding. However, be prepared to spend some peso's. Seems like overtime I am there prices up another dollar or two. Good but not great. Definitely didn’t justify the price. One steak overdone and took 20 minutes for a replacement. Sides sound great but didn’t live up to the description. Dinner for 2 with tip (and no wine) for over $200. Expect a lot more at that price in Des Moines Iowa. 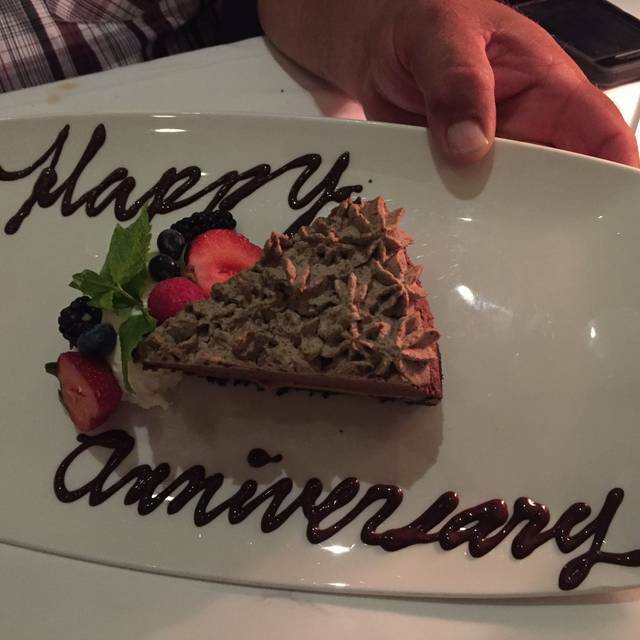 801 Chophouse was the perfect place for our anniversary dinner. .
Service and food was fantastic from start to finish. 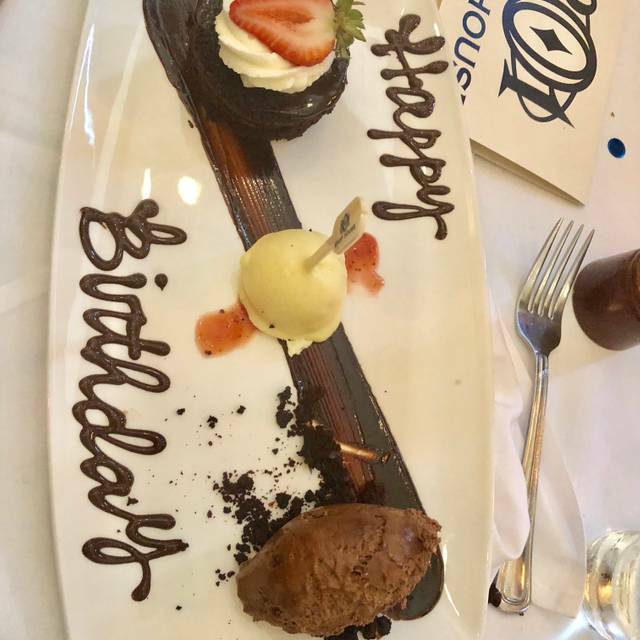 Starting with a hand written note wishing us a Happy Anniversary on the table upon arrived through a helpful smile helping order the perfect dessert. Very nice meal, great service and frankly one of the best steaks I have had in a while. I had the 12oz filet and others at the table had filet some 8oz and others 12oz. Everyone loved it. They were very specific about how you wanted your meat cooked and all came out exactly as requested. Sides were great and it was nice that they offer a smaller portion of the wedge salad which most of us had. No one needs an entire dinner plate of salad so I found it very thoughtful that while not on the menu they offered a smaller portion. Absolutely a fantastic experience. The service was exceptional as was the food. 801 is the best fine dining restaurant in Des Moines. Food is always delicious with great ambiance and service. 801 is one of the best restaurants in Des Moines. Always a staple for us when celebrating a special event, or when just wanting a top quality meal. Service and food quality are both impeccable. Nothing was wrong with our experience.. it just seems like there was nothing to justify the prices. Everything was just "meh". Our waiter, David was wonderful. He made recommendations that were spot on and the service was perfect. We enjoyed not being rushed and visiting with David. Only downside was the volume of noise. Large table of people close by and music a little loud for us. Great service with a nice atmosphere! Food was delightful and well prepared. I'd recommend it! Amazing experience as always! Great food and service! Our server was very knowledgeable about all of the menu items and had a pleasant demeanor. 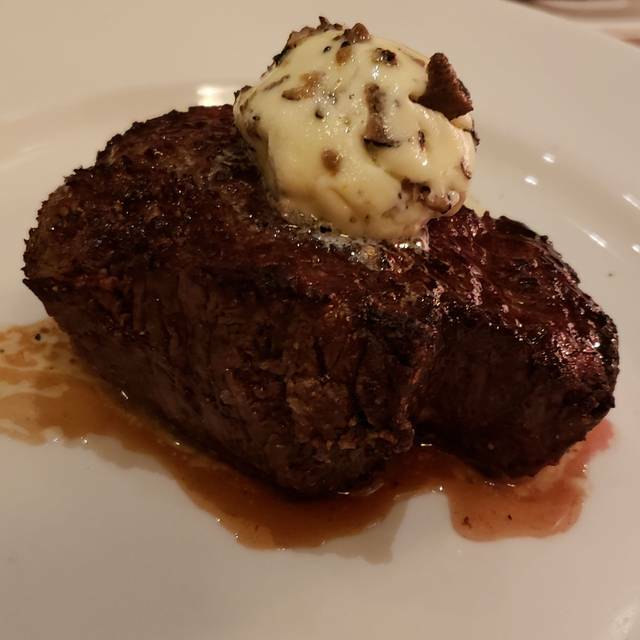 The filet was very tender with excellent taste. The sides are larger, family style dishes which had the perfect amount of food for sharing. Everything was delicious and the service was exceptional. 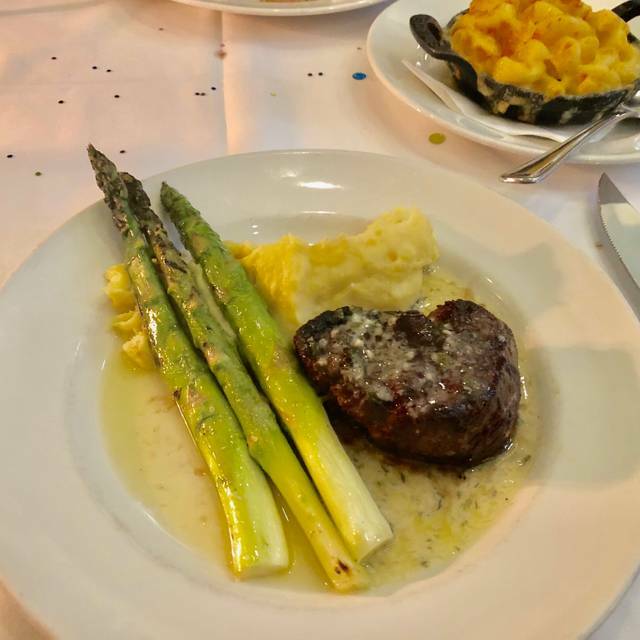 We enjoyed the lobster corn dogs, a fillet and fillet medallions, Boursin mashed potatoes, and asparagus with hollandaise. Every bite was delicious. Great food. Great service. Great price. What else can you ask for? Would definitely recommend this place. We have become regular customers at 801 because of the service and the food is consistently outstanding. This night we were celebrating my husbands birthday. Main server did nothing more than take the order and provide the bill - no smiles. Support sever staff were okay. As always the food and the service was great. We went there on St. Patrick's Day and were initially seated in the bar area - asked to be moved as I pretty much hate the noisy environment in a bar when having a "fine dining" experience. If you're into sports bars with TV's on and so forth, you REALLY ought to go somewhere else - NOT inflict that on the rest of us as the clientele has apparently done here. We were moved to the dining room and had a great time with a great waiter. It's a great place to eat. It was our first time and it was amazing. Our server, David, was fantastic! I had the best bday dinner experience at 801 Chophouse. Great customer service and great company. All smiles and 2 thumbs up for me! First off, our waitress was simply outstanding. There couldn't have been a better person to have served us. She was patient with us, without hovering over us. She explained things well. We got what we wanted and had an awesome time. As for the rest, the food, the ambiance, the decor. Its been a very long time since I've been that impressed. My steak was amazing. My other 3 dining partners all got the signature Prime Rib. I had a twinge of thinking maybe I should have ordered that instead. But one bite of my steak put that to rest. I wish I could give this jewel of a place to eat 50 stars, or give it 10 5-star ratings. As someone who often times gets poor service, I can think of nothing negative to say. We had a great time with a great waitress, and great food. Thank you so much!!!! The food was amazing and we had a terrific waiter. The food was great. And the service was terrific. We totally appreciated what our waitress did for us. 801 Chophouse is our choice for a special evening out. The service went beyond by making fresh thousand island dressing for my husband. The service was exceptional and even took time to take a photo of us. My sea bass was absolutely delicious! The brussels sprouts were perfection and our server Zach was so helpful and knowledgeable. Can't wait to go back ! 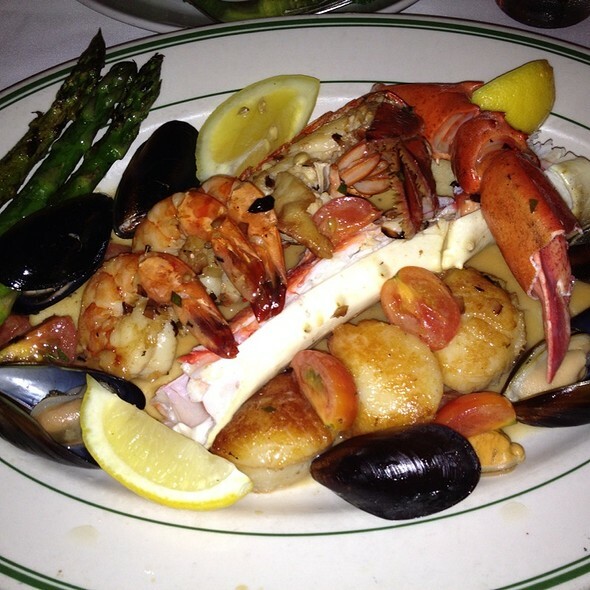 The server [Skip] was excellent and very accommodating = I wanted some but not all of the seafood platter and my friend did likewise and he made it happen - very good dinner and just what we wanted. Enjoyed the Sunday Dinner Menu. Good proportions. Steaks and fish were perfect. Will be back. Celebrated two birthdays in a group of five. Not one complaint from anyone in our party. Always a wonderful experience. 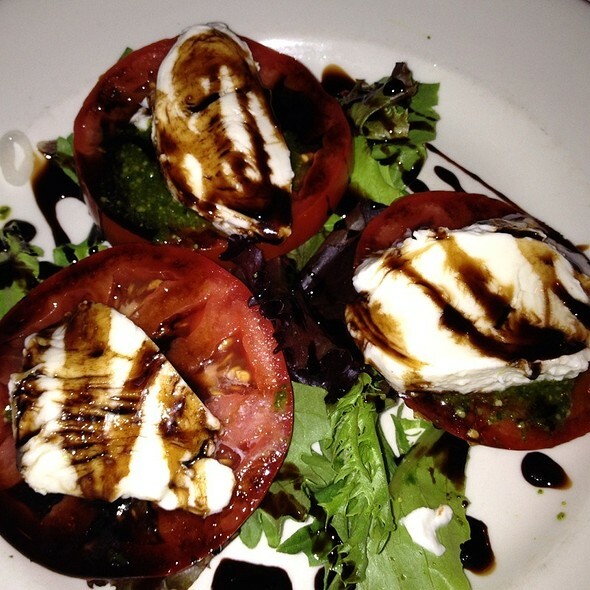 Our server, Jen, was knowledgeable about the menu & made excellent recommendations. Top notch, fine dining service. Food was superb. 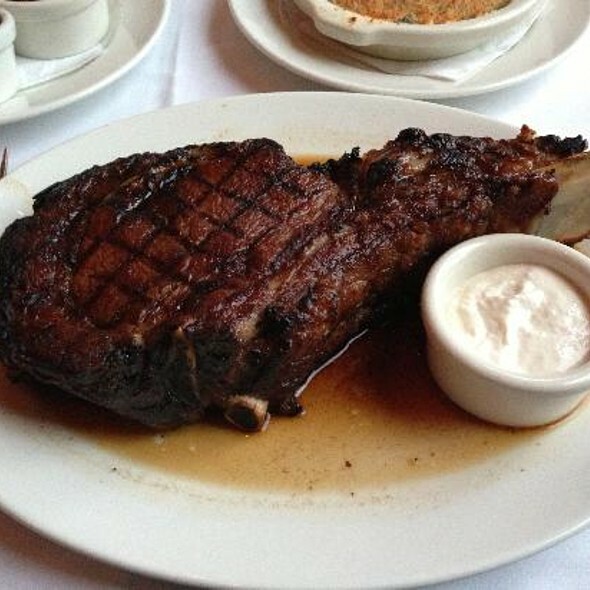 Steak done perfectly. Baked lobster tail melted in my mouth. Sides w could have been a meal by themselves. Chocolate soufflé was perfect, I recommend the vanilla sauce. Pricey but worth every penny with fine dining done right. Great place to catch up with friends over delicious food. Ambiance was fantastic and the food was phenomenal. A fine establishment and fine dining experience. The 801 cut Prime Rib was cooked exactly as ordered and was a massive cut for the price. Perfect for those who like the classic style of dining: wines & whiskeys, Sinatra in the background, low-light/low-noise setting, cuts of meat and delightful conversation. The extra touches that were added to help us celebrate a birthday made the birthday girl feel just a little bit more special! It was a very nice jester and greatly appreciated. For what the dinner was, I loved it and the service provided. Our server was attentive and patient with our party who wanted to visit for a while prior to ordering. The prices are high and if you are comfortable with that, this is a great place to dine for special occasions. I only wish that the portions were not so large. Excellent Place all the way around! Food is beyond good. Steak and primeribe are fabulous. The sides were perfect. Little bit pricey..